As the leaves begin to change, don’t fall for missed seasonal opportunities for golf in Michigan. Don’t put away those clubs just yet. In fact, seasoned golfers know there is often one more road trip still available—and it can be combined with a color tour and some of the best rates of the year. 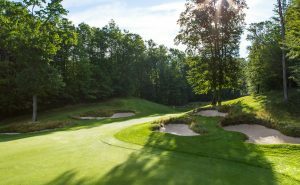 While some of the courses in northern Michigan are closing, Treetops Resort in Gaylord announced it will have golf as long as the weather holds out and players keep coming. 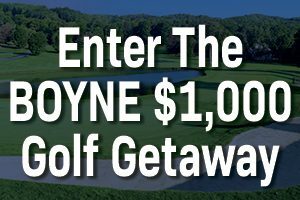 It is advised to call ahead, but staff reported great course conditions and beautiful colors abound in the thousands of tree tops throughout their course collection. In the middle part of the state, Buck’s Run Golf Club in Mount Pleasant still has grass growing and the fall rates are the lowest of the year. 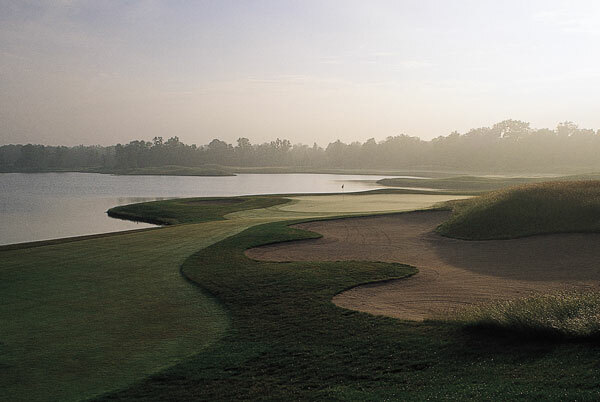 With its award-winning, Jerry Matthews-designed course that is both fun and challenging, it is the quintessential “bang for buck” at the central Michigan destination. “We anticipate playing for another few weeks,” said Jon Conklin, PGA member, director of operations and head golf professional at Buck’s Run Golf Club. “We have aerified our greens, but they have recovered back to normal. They are great, because the grass is still growing. We will have nice conditions and we do have some good color in the trees. We are not at peak yet though,” Conklin added. In South Haven, the HawksHead Links Golf Course winds through the natural sand dune areas inherent to the western Michigan shoreline. The links-style gem designed by Arthur Hills is often open year-round, because the sandy soil works in their favor. Not only are the colors beginning to pop in the trees, but also the fall rates are in full effect. With fall colors at about 10 percent in the southwestern corner of the state, it means nearly 90 percent is still ahead and one course on the edge of Benton Harbor promises to stay open until temperatures drop into the 20 degrees Fahrenheit. That should be a while yet for Lake Michigan Hills Golf Course to welcome players to its green located just off Interstate 196. It doesn’t have to be one last golf trip: let’s play two.